The number of fitness alternatives these days can seem staggering, so it’s natural if you feel overwhelmed when sorting through your options for an exercise class. To narrow down your choices, review the four options below to see if any of them peak your interest and fit your fitness level and goals. Zumba is a versatile and intriguing option because it works great for beginners and pros alike. The same goes for people who are at the peak of their fitness versus those who haven’t exercised in ages. Why? Basically, because you can’t make a wrong move (or a right move, for that matter). Classes are self-guided. You follow the instructor’s moves, and no one is watching you or judging you for copying accurately. People of all ages and body types flock to these classes as well. This sort of class could be ideal if you love music and high-energy settings. It can take some time to find the right instructor, though, because certification requires only a one-day class. Look for an instructor who clearly breaks down complicated moves and whose pace more or less matches the one you are looking for. Never heard of this one? That’s okay! Orangetheory is a one-hour workout that is based on heart rate interval training (or high-intensity interval training). In other words, you work extremely hard for an hour so that your body can continue to do a lot of work after class ends. You alternate between focusing on cardio and strength training during a single class, and the classes are fairly small, giving you the feel of one-on-one instruction. 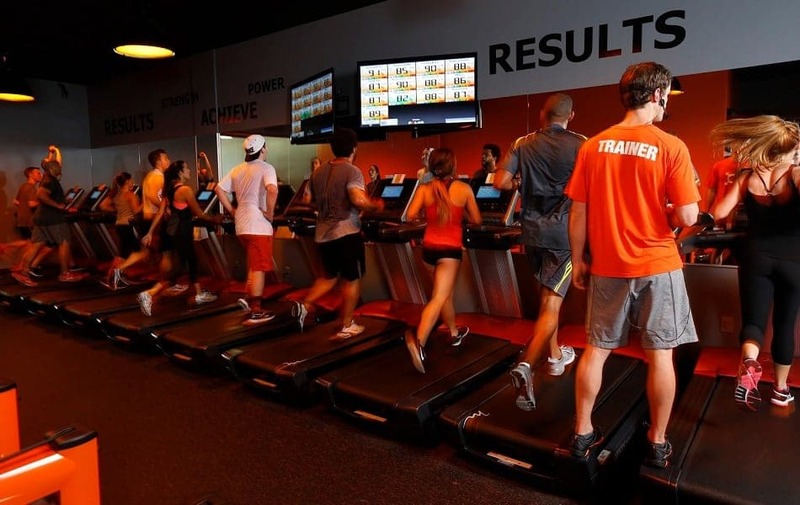 Orangetheory is best for people who have some level of fitness already and a good idea of their fitness goals. Proficiency in certain types of exercises is not as important, as each class is different. For example, you could alternate among activities such as jumping, running, and rowing. You also wear a heart rate monitor, which helps track your progress with each class. A chart displays the stats for everyone in the class, and the aim is to work in your orange zone for 12 to 20 minutes per class (that’s at 84 percent to 91 percent of your maximum heart rate). So, if you enjoy getting tangible progress updates and thrive on competition, give Orangetheory a serious look. 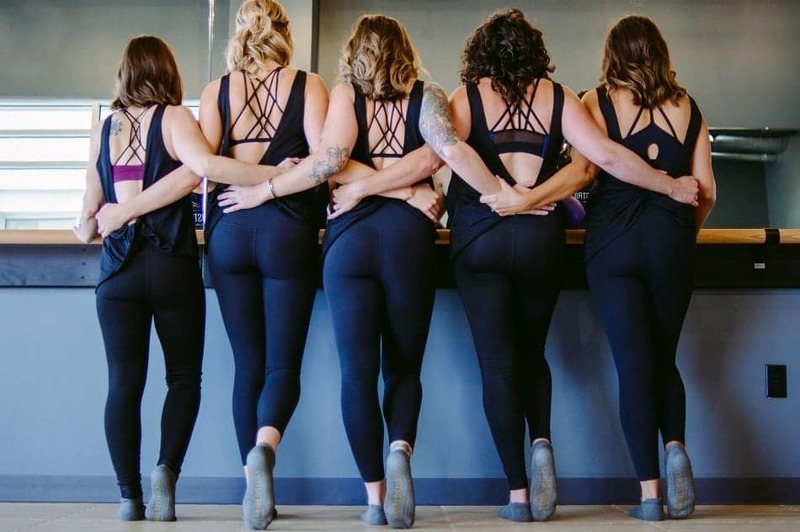 If your goal is primarily to build strength, then barre classes may be right up your alley. You don’t need a dance background or astounding coordination, either. In barre, students perform ballet-type exercises such as arabesques and plies in addition to traditional strength exercises such as push-ups and lifting hand weights. Beginners and people who are not in shape may enjoy these classes but should be prepared to feel quite sore the next day. 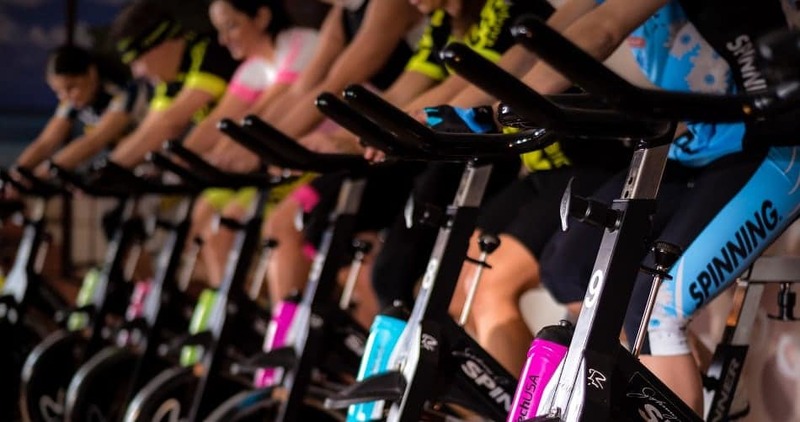 Spinning, or indoor cycling, isn’t for people who are out of shape. On the other hand, classes typically run for 30 to 75 minutes, so beginners can opt for 30-minute workouts and go from there. You’ll experience varying levels of intensity throughout the class as your body positions change. The experience is supposed to imitate outdoor cycling, so you’ll perform sprints, hill climbs and the like—and coast to relax for a bit. This type of class is a good option if you want to reduce the strain on your joints or if your goal is to lose weight. One cool thing about indoor cycling classes is that you can usually choose among various types of environments. For example, some classes offer a disco atmosphere while others are more adventure-oriented. If you want to get in better shape, then Zumba may be your best bet. If you’re already in good shape, then any of the four classes could be good options.